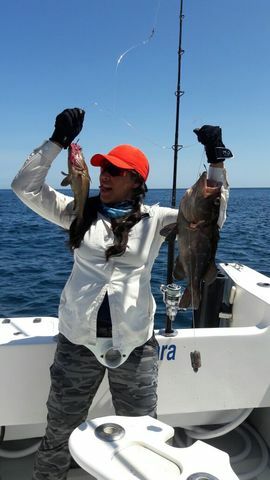 Then they moved inshore and boated some groupers, perfect for sandwiches. 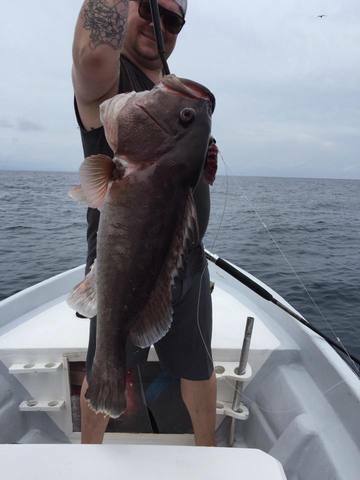 Captain William delivers the goods, and in just 5 hours at that! 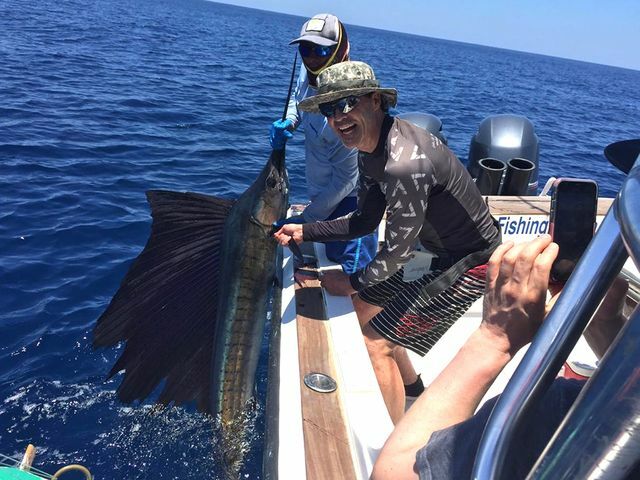 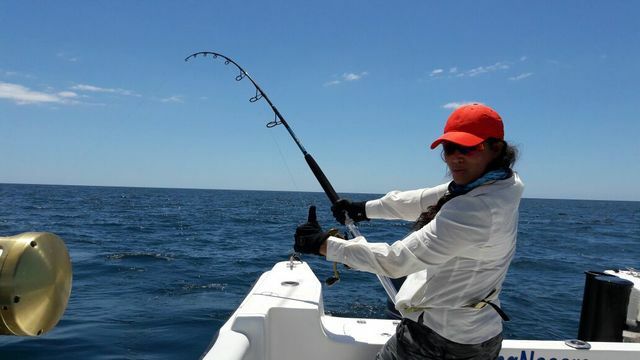 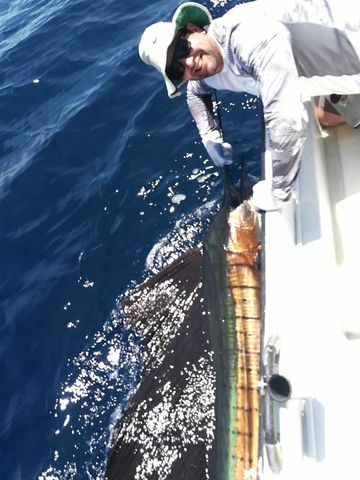 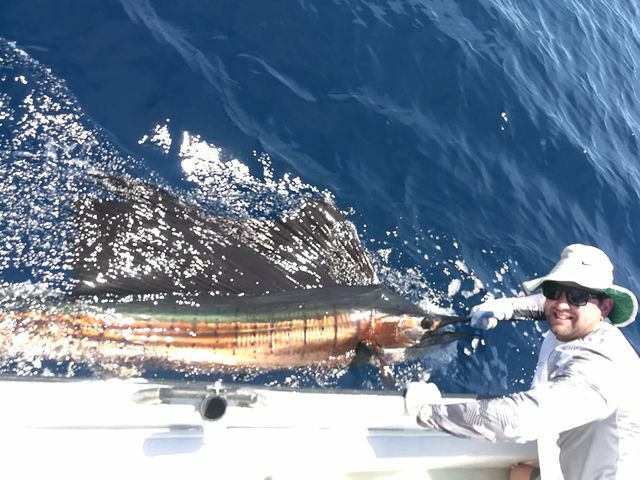 The Adventurer finished the month with another unbelievable Sailfish release. 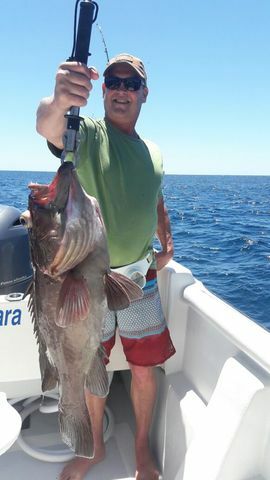 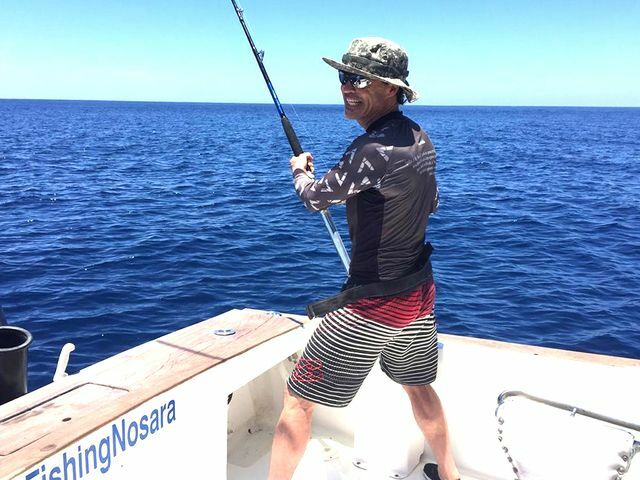 Captain David delivered the unimaginable in the morning, and then in the afternoon did more standard Adventurer-things…delivering tasty filets for his clients. 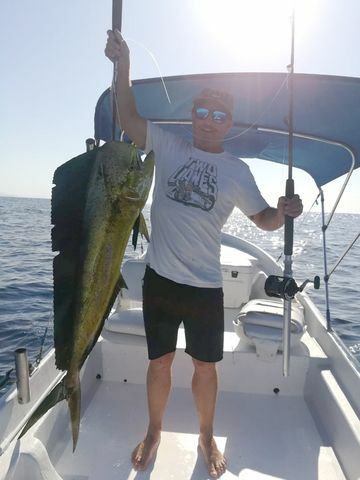 Great job by Captain David! 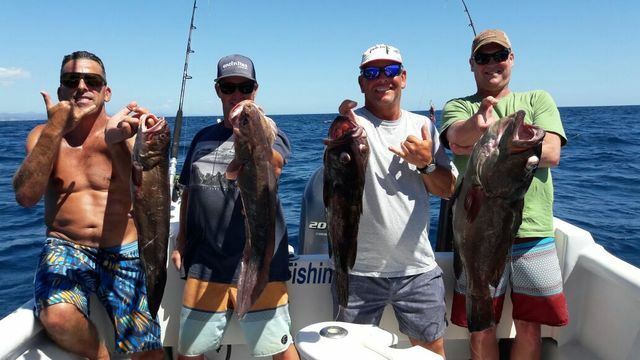 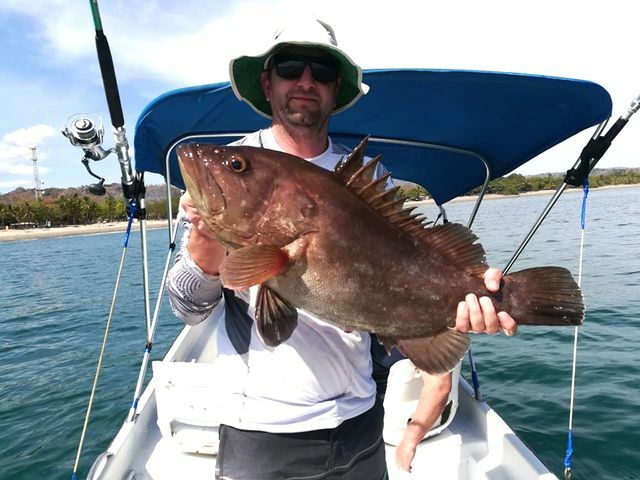 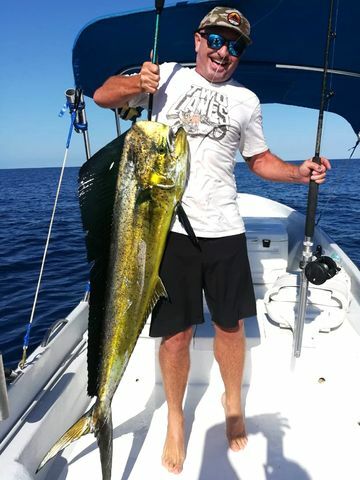 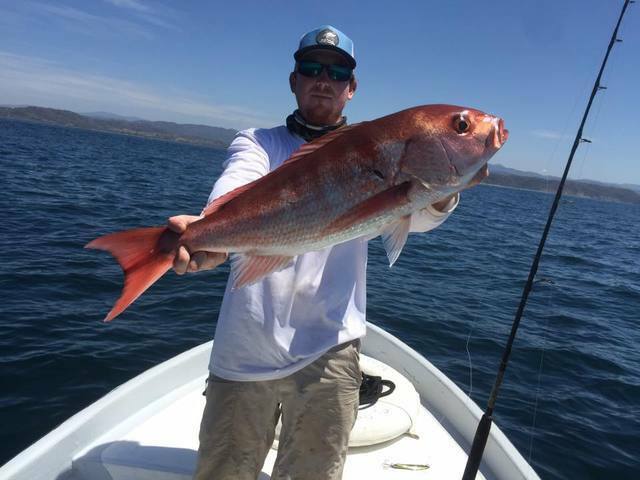 Aussie angler Jeremy West knocked out some inshore monsters on January 8. 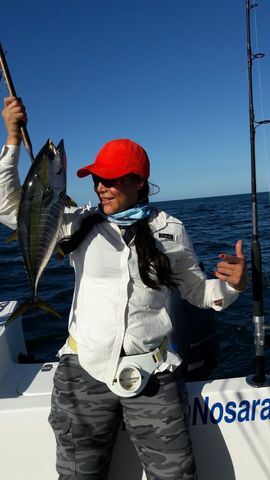 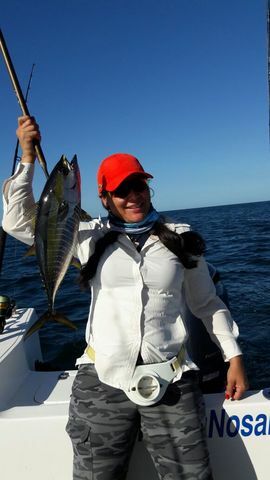 The biggest scores of the day were these nice Dorados. 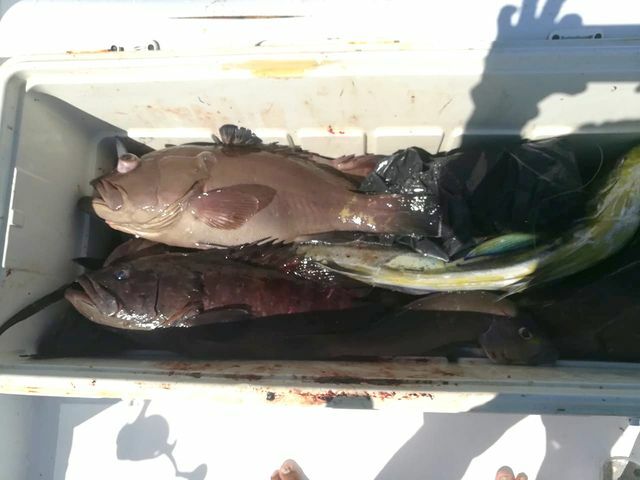 Also they filled the coolers with tasty Red Groupers. 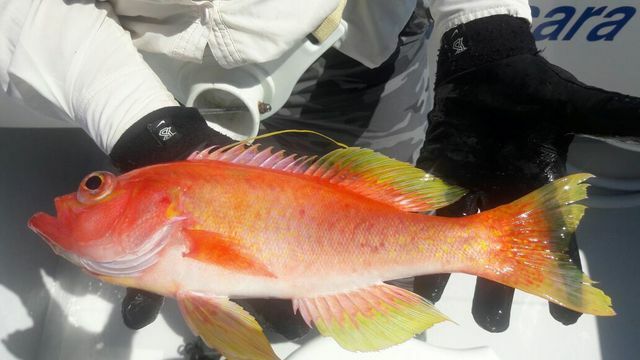 These inshore delicacies are a welcome treat and a sweet addition to the menu. 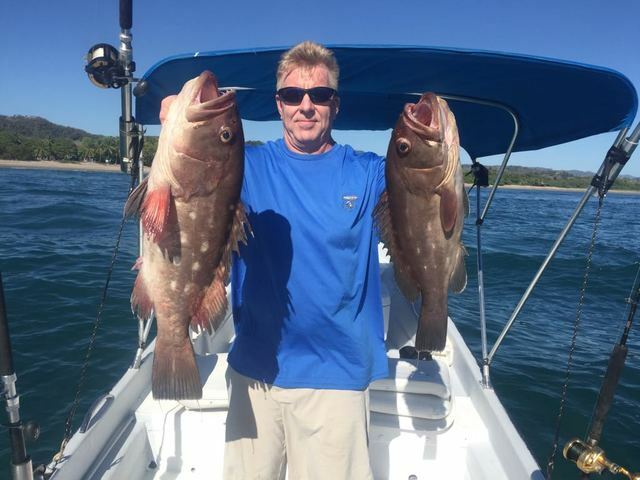 The hits kept coming in late August as Captain David concluded a great season on the Adventurer with a great run of trips late in the month. 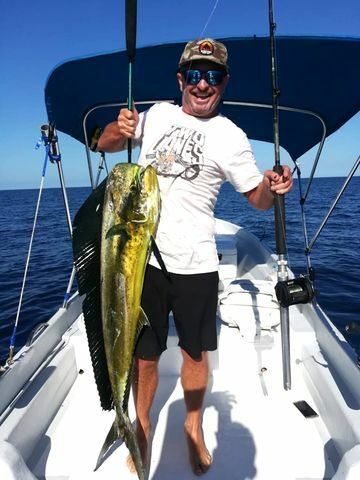 Fantastic work by Captain David and the 23-foot switchblade Adventurer! 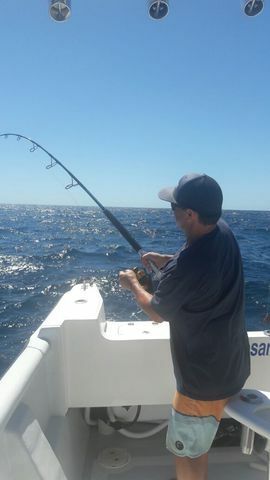 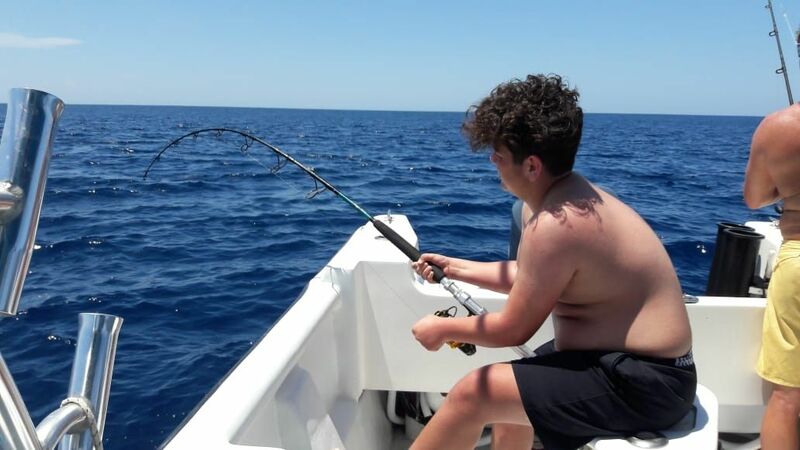 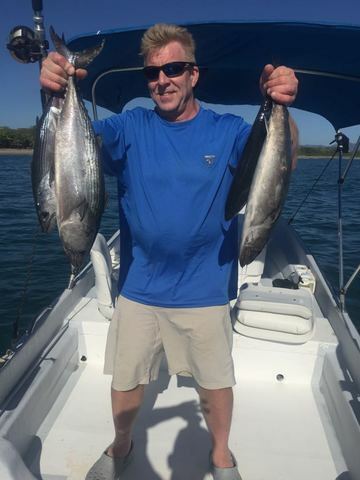 Nick Lowe stayed close to shore on the 9th and scored a variety of yummy filets on board the Harvester. 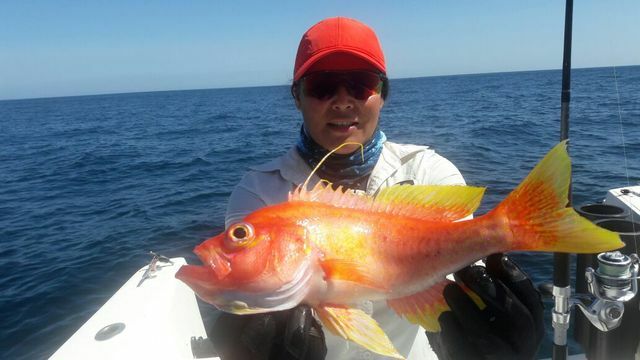 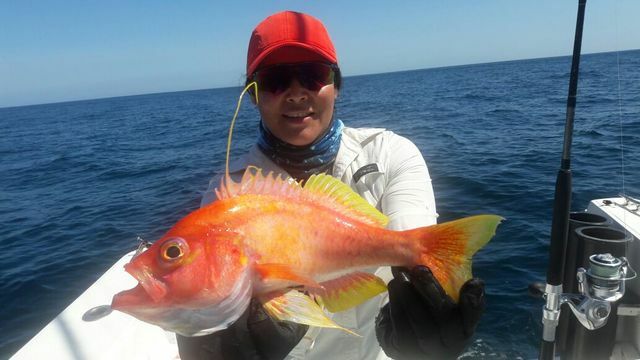 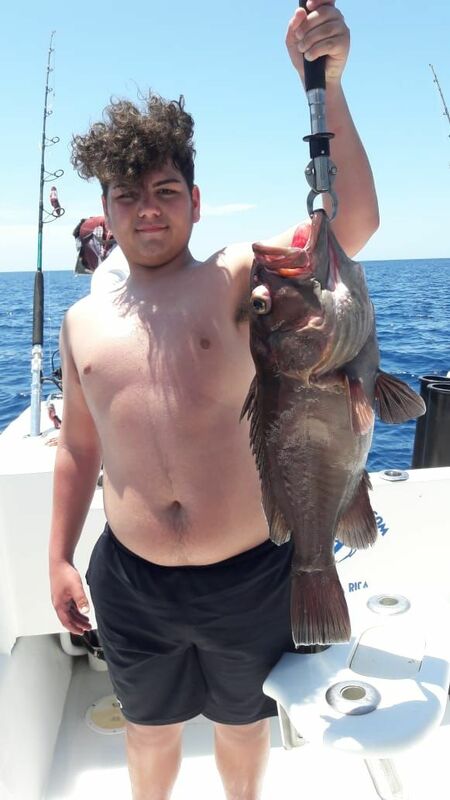 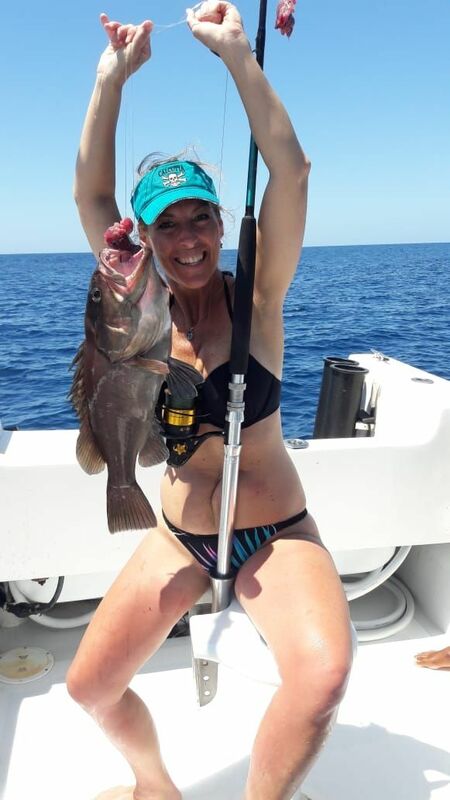 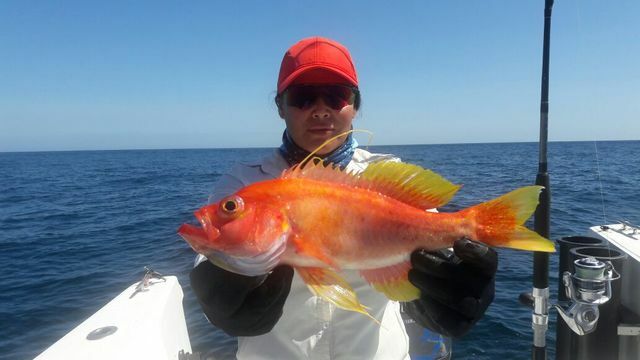 This brightly-colored Rock Snapper was the catch of the day, and was backed up with a few nice Red Groupers and a Yellowfin Tuna. 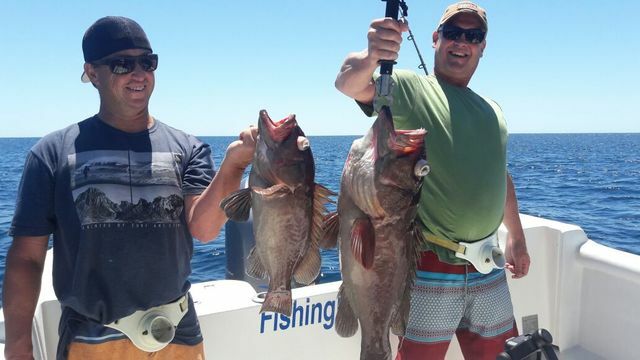 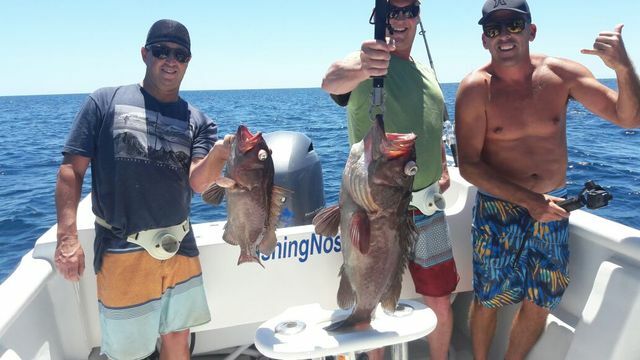 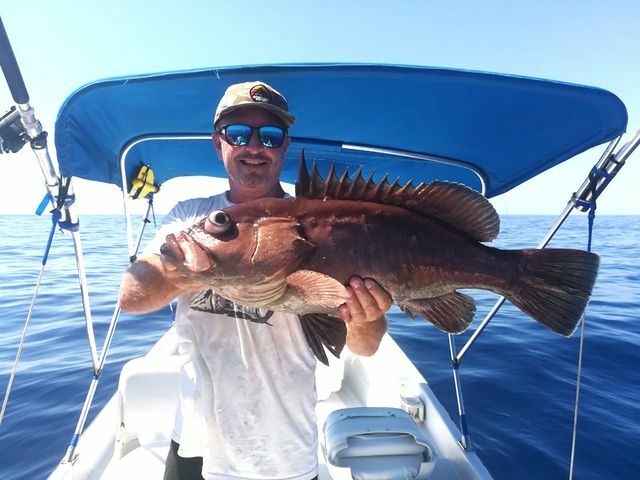 David Kinney and the boys stayed inshore and filled the filet bag with two of our most tasty morsels. 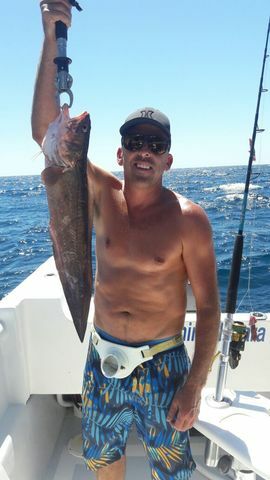 These Congrios are a fish/eel hybrid which are a real challenge to catch. 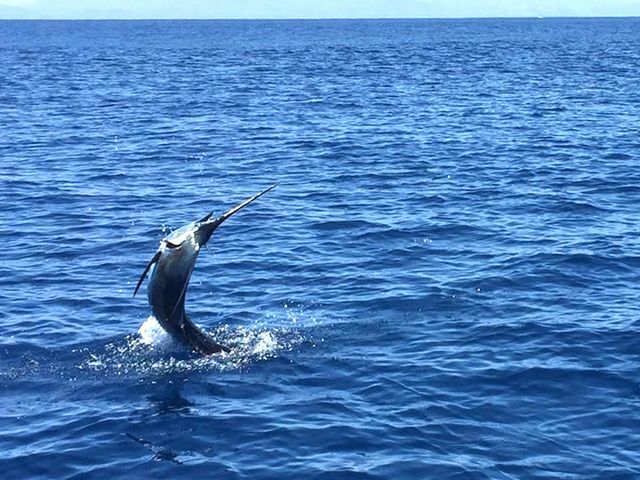 Did you know that these creatures have the ability to swim backwards? 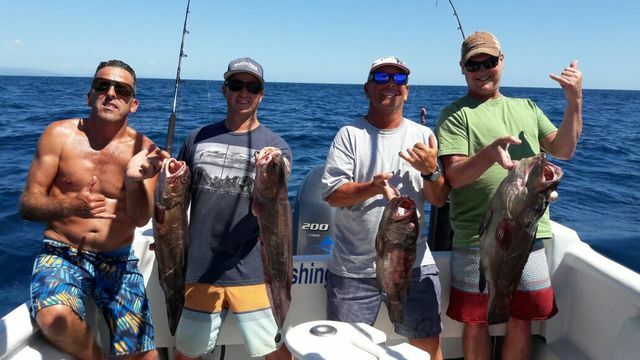 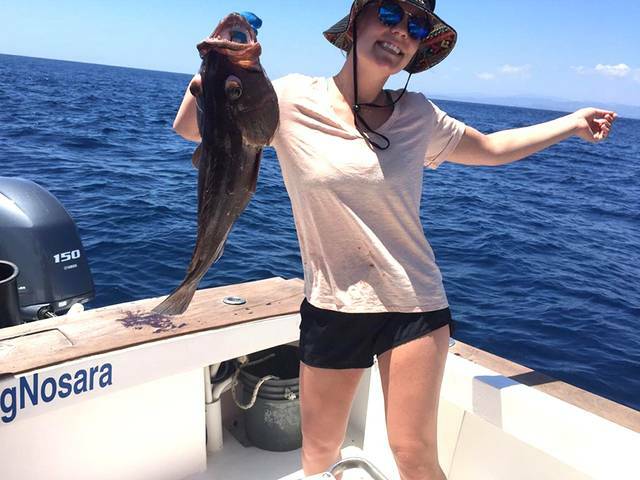 Later on they boated several nice-sized Red Groupers, perfect for sandwiches. 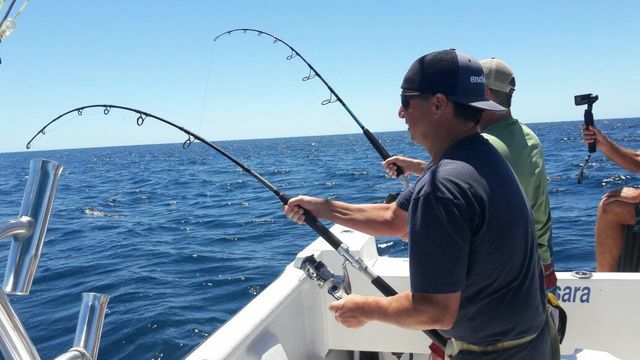 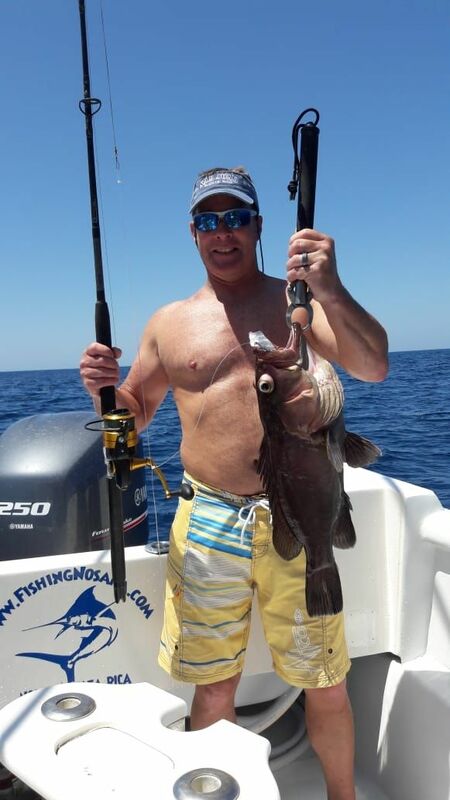 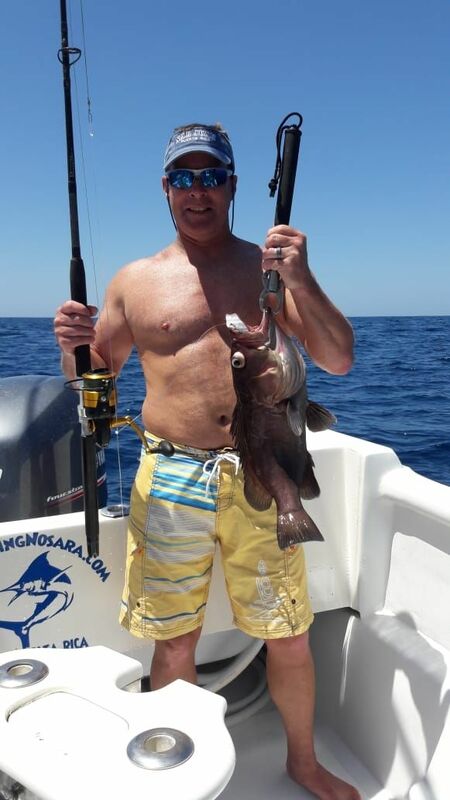 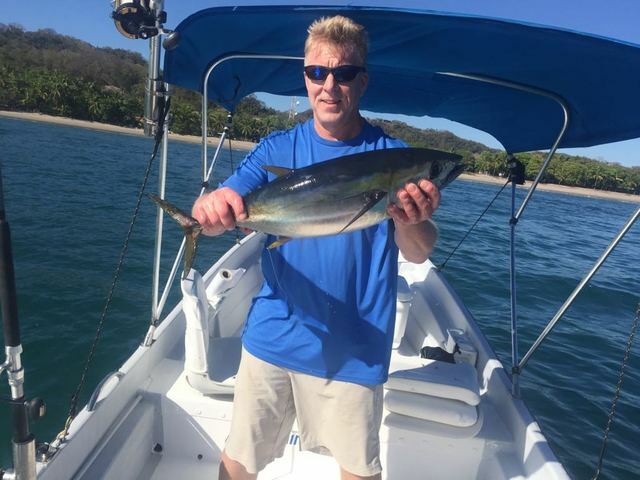 Captain David welcomed angler Carl Lindberg to the Adventurer on the 5th for a great day of fish harvesting. 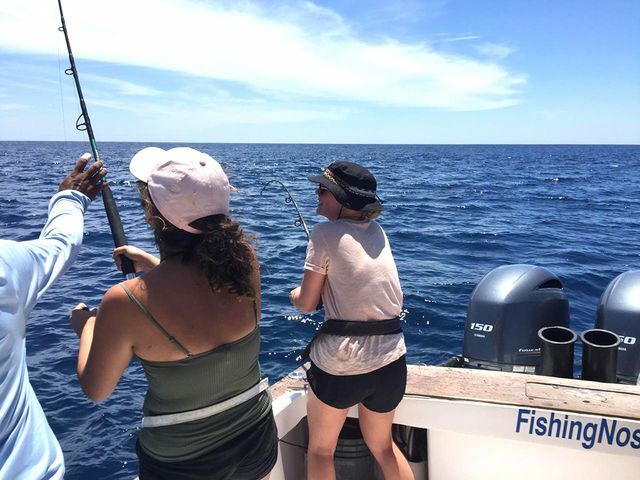 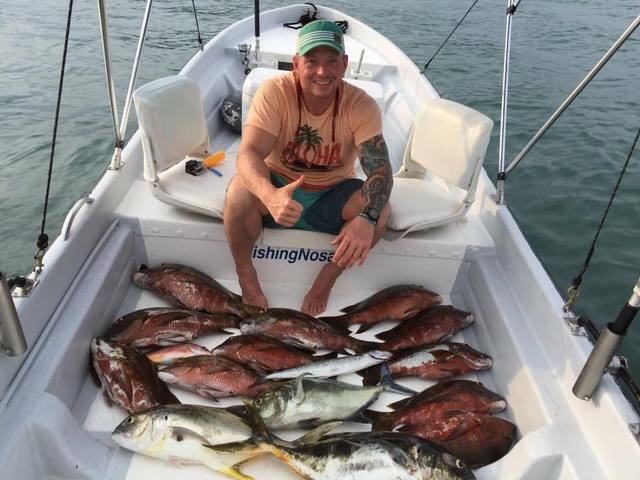 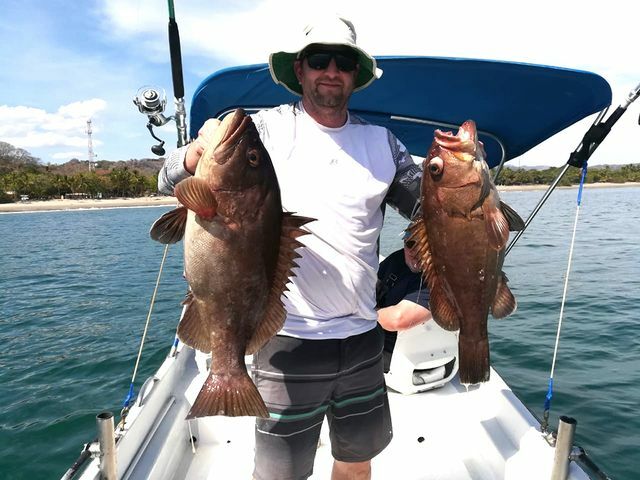 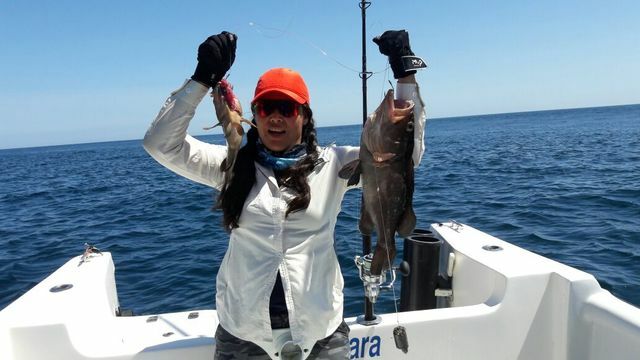 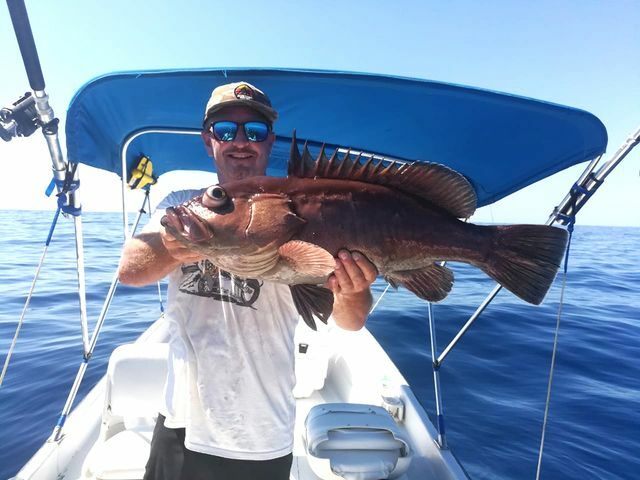 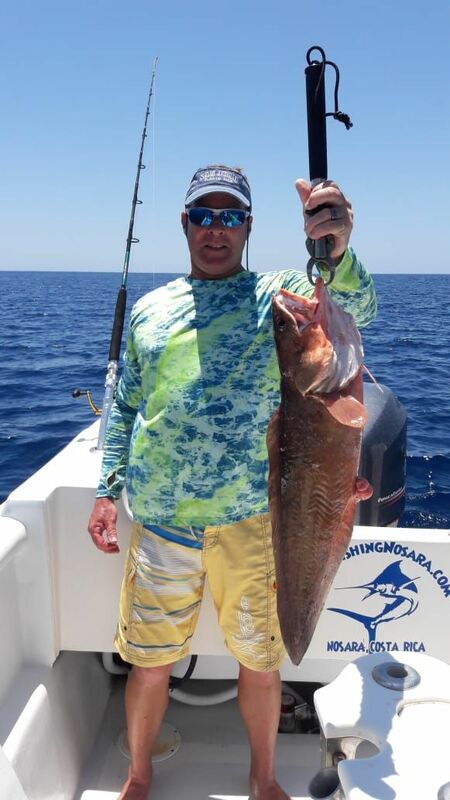 These nice Red Groupers were backed up by an array of Yellowfin Tunas and White Tunas.